on the beautiful campus of Gilmour Academy. Gilmour Academy is an independent, Roman Catholic, co-educational, college-preparatory school on a 144-acre campus in the Cleveland suburb of Gates Mills, Ohio. Founded in 1946 by the Brothers of Holy Cross, it offers a Montessori pre-school program through grade 12. A boarding program is available to students in grades 7–12. Gilmour's Mission is to develop the competence to see and the courage to act in creating a more humane and just society. The mission sustains the excellent private coeducation that provides the foundation for the critical thinking, moral formation, and independent leadership. 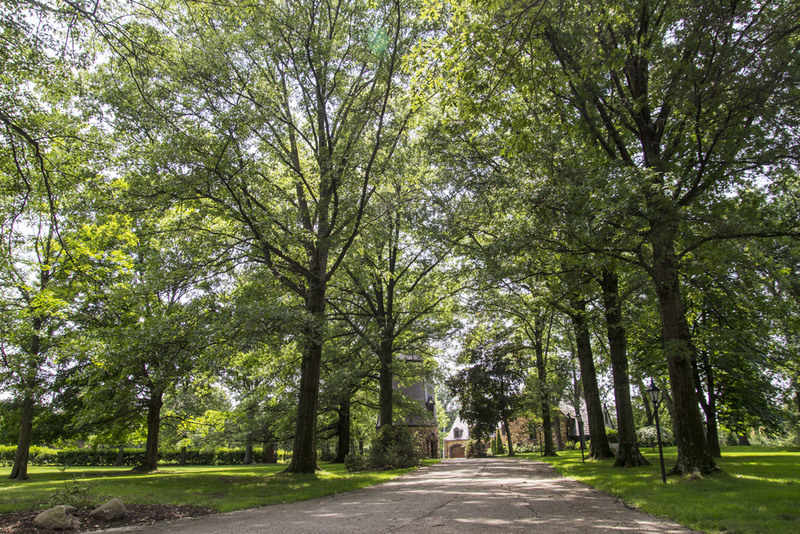 Beginning in the summer of 2016, Gilmore’s 144-acre campus has been home for ENCORE Chamber Music. The Lynn and Michael Kelly Middle School and Fine Arts Building will serve as ENCORE Chamber Music's main campus, and the students will board in Gilmour's dormitories. The Tudor House is the venue for performances. By 2019, Gilmour Academy will be an All-Steinway school. Visit Gilmour's website to learn more about Gilmour Academy.